How I got adopted by an absolutely awesome Himalayan mastiff? The mountains, the mist or that soft muffler of a fur coat, what exactly makes a Himalayan mastiff? From a distance, these vigil guards of the Himalayas look like distant relatives of the direwolves but there’s most to their mysticism than sheer strength. In the Kumaoun and Garhwal hills, it is often said that on their day a pair of Himalayan mastiffs can easily subdue a tiger. And I don’t doubt that. Not one bit. And yet these gentle giants play with such an innocent flair with infants and the sheeps that you can’t help but wonder in awe. For years since I began Dog with Blog, I have often been asked of Kaalicharan lineage. Well, she was adopted and I knew not of her breed but just that she came timidly to me and hid in my over-sized denim jacket and somehow I couldn’t let her go. The garage grease all over her couldn’t be noticed for she was coal-black already. I learned later that she was dumped for she wasn’t a pure bred Himalayan mastiff. Having read of the apartheid and caste system in text books, this was my first practical experience of it. 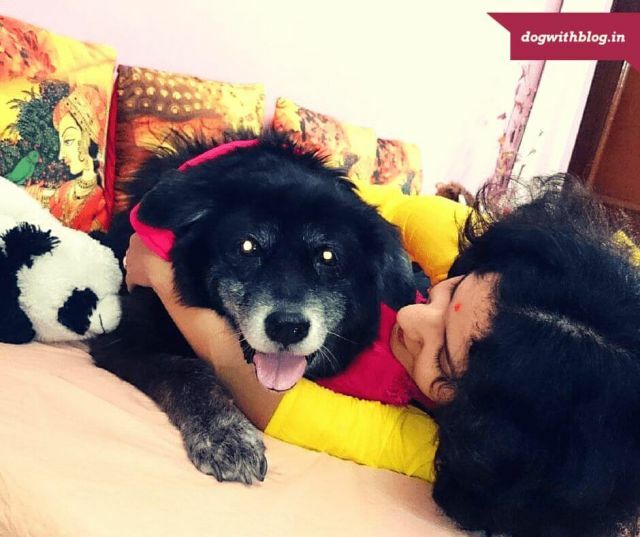 13 years later, as the beloved bear from fiction lore, she keeps reminding us that dogs aren’t about colours or pedigree but about dogs alone. Awwww.. This is sooooo cute..!! Ahhhh – we do so love our dog, don’t we? ACK! I just re-read that and it sounds as if I’m making a snarky remark! I don’t mean it to sound that way – I’m in love with MY dog, BuKi, as well! Previous Previous post: Nepal Gadhimai festival – Losing my religion! Next Next post: The Teddy bear man!